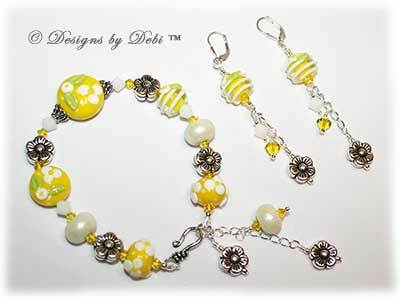 The beautiful lampwork glass beads I used in this jewelry were custom made for this project by Kristine Dery of Krissy Beads in New York. 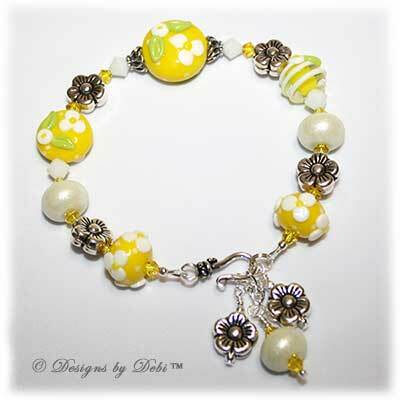 I wanted yellow and white beads with flowers (because yellow represents hope and renewal) and Krissy delivered...big time. 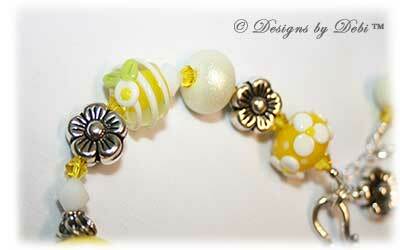 She made the most wonderful set of beads with flowers, swirls and even some pale yellow, shimmery pixie beads! 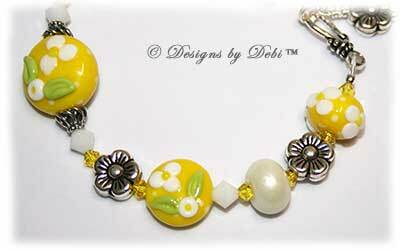 To accent her bright, cheerful beads I used Swarovski Crystals in Citrine and White Alabaster. 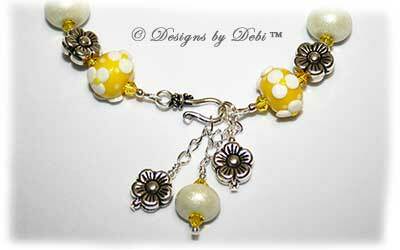 I framed the center bead with antiqued sterling silver bead caps and used sterling silver flowers, hook clasp and extender chain. The sterling silver leverback-style earrings coordinate perfectly with the bracelet. 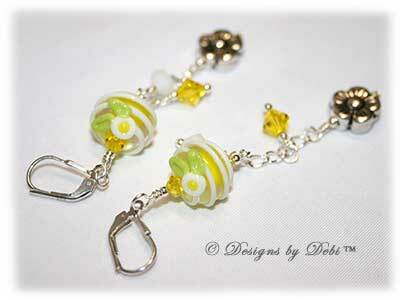 They have matching lampwork beads and crystals and the same sterling silver flowers hanging down on matching sterling silver chain. The donation from this month's piece is going to the American Red Cross to help the victims of the tornado outbreak. From April 25-28, 2011 destructive tornadoes ravaged Alabama, Arkansas, Georgia, Mississippi, North Carolina, Tennessee and Virginia. There were 426 tornadoes reported over these 4 days in 16 states. At least 340 people are confirmed dead and there's estimated to be damages in the range of 5 billion dollars! I'm sure you've all seen the horrible images and heard the heartbreaking stories on the news...entire neighborhoods destroyed, children ripped from their parents arms by the force of the winds, so many people thought they were going to die...and so many did. There are untold numbers of families who have lost everything. So this month is dedicated to helping them...and I think the next few months will be as well. They need our help. 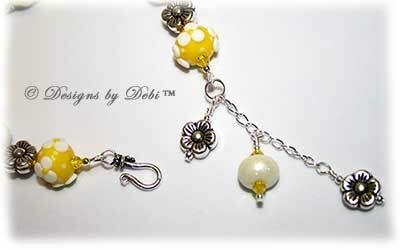 2 1/2 inch extender chain) and the earrings are 3 1/4 inches long. 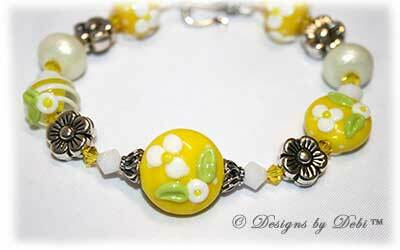 On its tightest hook, the bracelet fits a 6 1/4 inch (loosely) to 7 inch wrist. There's an additional 1 1/2 inches of extender chain to accomodate larger wrists. And, as I've shown in one of the photos, if you don't want a long length of chain hanging, you can bring it up shorter by hooking an additional loop lower down the chain.